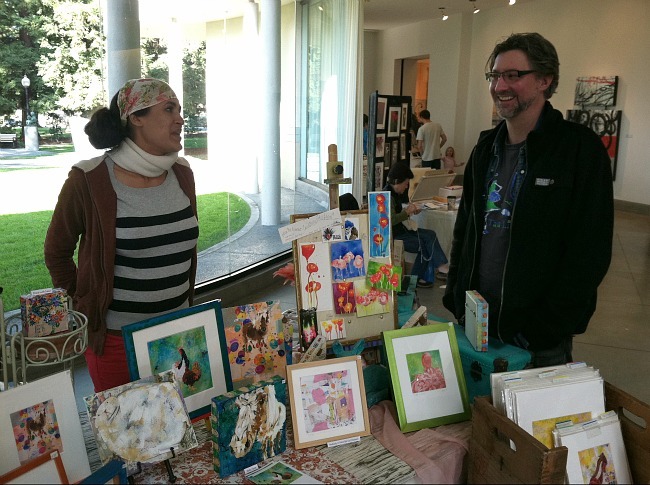 The highlight of this last weekend was going to my sister Jaya’s art/gift show; the Triton Museum Spring Gift Fair (a.k.a. MINIATURES SHOW) in San Jose. 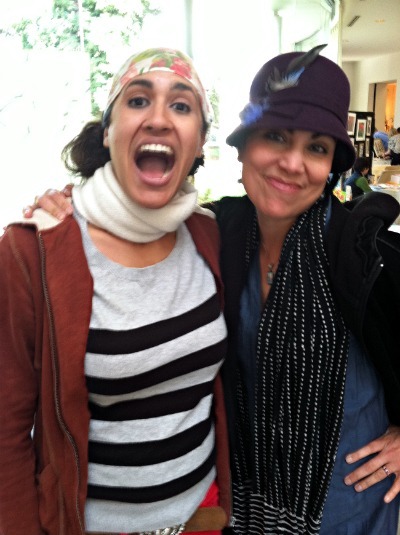 This gift fair couldn’t have been better timed; I’m organizing my jewelry space now, my walls are bare, and I needed to soak up some of Sis Jaya’s wild, hottie-pants, cool energy! Since she is BIGtime (in collections and commissions), I can’t really afford her originals. Her larger pieces grace Union Square galleries in San Francisco, so her ‘miniatures’ shows held around the Bay, mean that these pieces will more likely fit my miniature budget. (Woo-hoo! 😉 I just treasure this Grrrl’s work. But first, my music room is together, thanks to my Mum who recently got me one of my favorite Jaya pieces– eeeee! (the bass player from her musician series), and now I’m afraid to hang anything within 500 feet of it because it is so insanely, sacred- crazy-special! What was really fun about Saturday’s San Jose fair and Sis Jaya’s amazing miniature paintings- they most all portray her sweet pets: chickens, birds of every feather, horses…lamas & goats (?? )… all amazing. Jaya’s miniature watercolors are filled with happiness, animals, music notes & writing, glitter, Joy & whimsy- things my heart could always use more of 😉 So I was really looking forward to this show. Interestingly, when I told her that these very qualities are what I treasure about her work she said “well, that’s the animals! They are the ones that are fun, silly, whimsical! That’s why we need them.” Ok then; I need a zoo- Lol!! 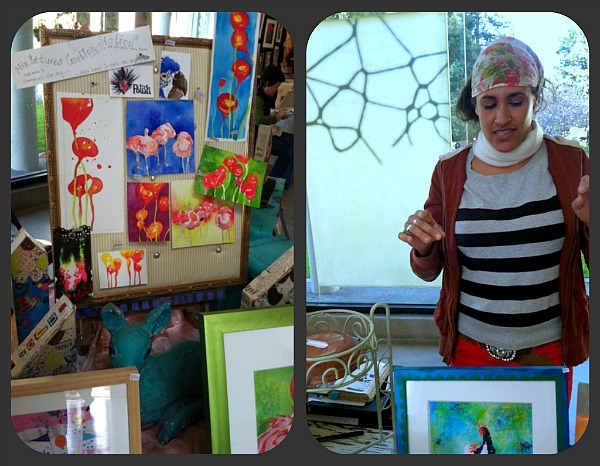 So if you live anywhere near San Jose- sign up for Jaya King’s art classes March 24/25. If i could draw, i’d go. 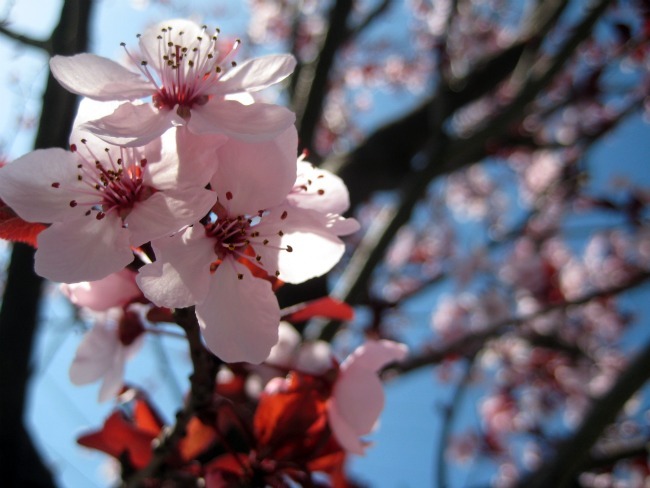 Best wishes to you and let’s stay in touch. 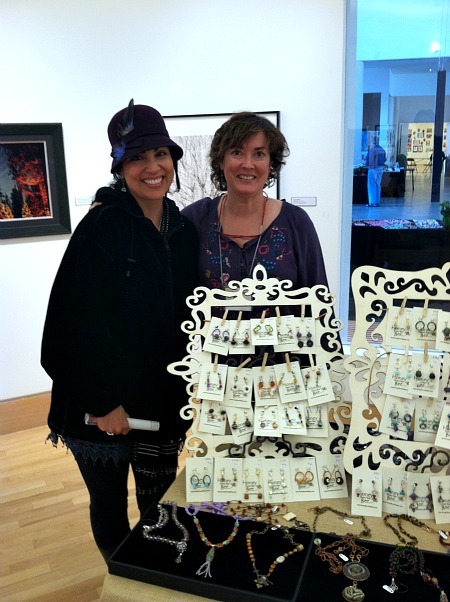 I love her art, and the jewelry displays she has are too cool! It looks like you had a lot of fun!